Compressed-air technology of the future! BOGE’s Industry 4.0 stands for the fourth industrial revolution – a whole new level of organisation and control in industrial production. It is based on the idea that combining people, objects and systems creates dynamic, real-time, self-organising, cross company, value added networks that meet demands and are customer-focussed. BOGE airstatus is a pioneering technology that redefines communication between man and machine in the Industry 4.0 age. The remote diagnostic tool offers users greater safety and transparency when it comes to their compressed-air supply. 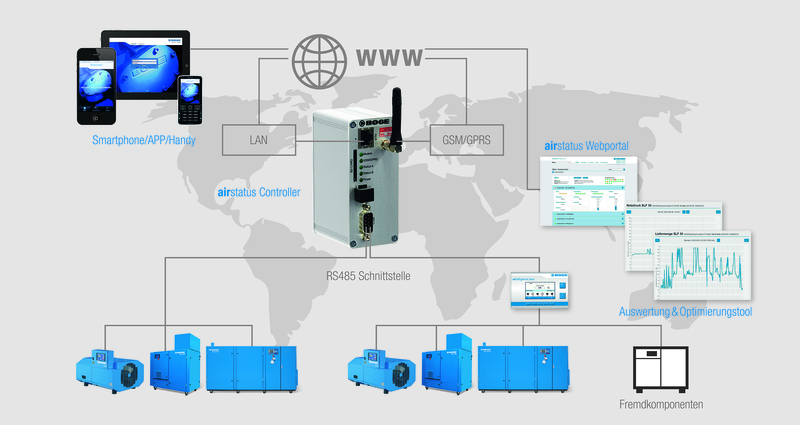 BOGE airstatus ensures that compressed air systems give a high level of performance and efficiency and is excellent for monitoring and managing complex systems and machinery with up to 32 components. 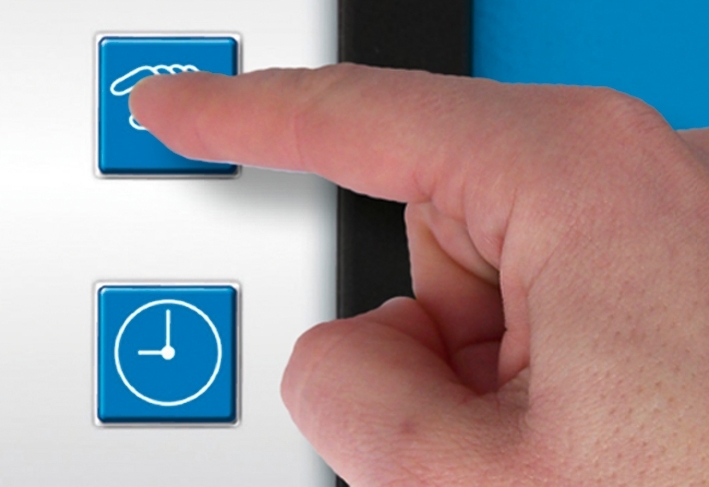 Users view process data – such as status, maintenance messages, temperatures and pressures – and can instantly identify, analyse and react to faults on their PC, tablet computer or smartphone. 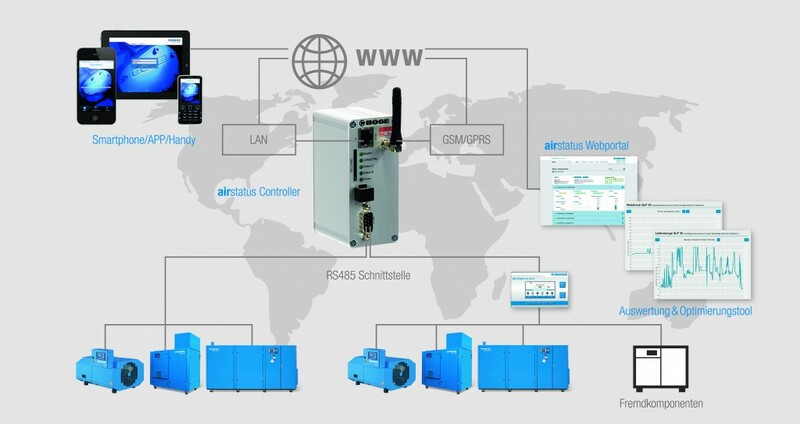 data can be transferred directly via GSM/GPRS or via a LAN connection in real time and are accessed on the BOGE airstatus Web portal or the BOGE app. The BOGE app gives users an overview of the status of their compressed-air system anywhere anytime. The receipt of e-mail or text message alerts when values go above or below defined limits further enhances safety. BOGE airstatus is also an excellent tool for dealers to effectively manage the aftermarket side of the machinery in the field.